it gets stuck on 54.38 mb and nothing changes even after an hour. FWIW: Win 10 version 1804 is buggy. I had similar problems until I upgraded to version 1809 which is the latest version of Win 10. Programs would get stuck or not open at all and some even closed after a few seconds. As for losing the theme you downloaded, that shouldn't happen if you have that theme saved in your download folder. 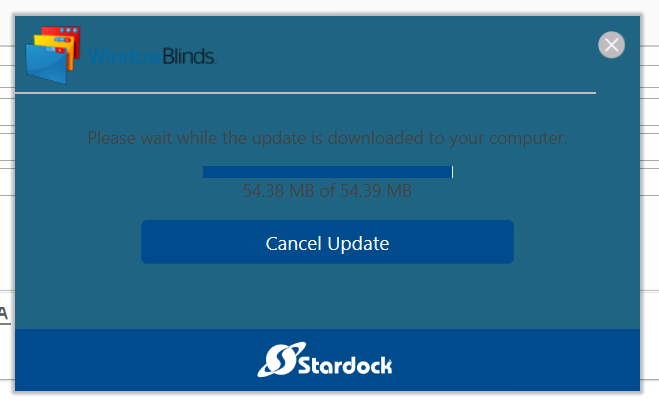 Go to your account at Stardock and download the latest version of WindowBlinds. Uninstall the old one, reboot and install the new one then reboot again and reinstall your theme. I did reinstall it twice, but that didn't work. However, I want to update the status of this issue. I was able to uninstall it using Advanced Uninstaller, but here's the weird part. 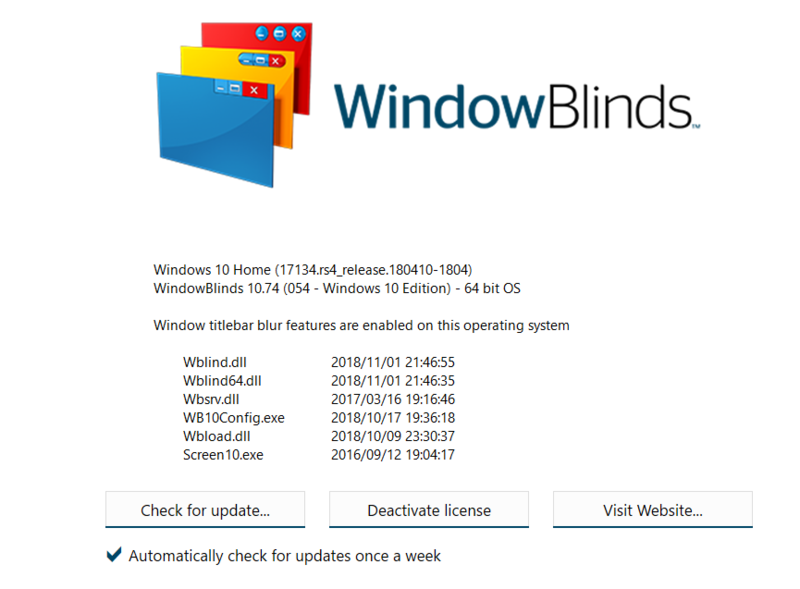 That program was supposed to completely remove all of the Windowblinds folders, files, etc. BUT I just found a WB folder with ALL of the skins and wallpapers so obviously I had to delete THAT. I'm wondering why that wasnt' removed. But NOW I'm still experiencing an issue that started before the uinstall. I haven't been able to use the Vista theme like I mentioned in the first post, just the boring Windows classic theme(ugh) I figured it was due to the Windowblinds being there, but even after it's gone I'm stil having that problem. ALSO when I go to try to change the theme in the 'appearance' option, I get an error message "windows host process rundll.32 has stopped working". It keeps scanning until it says Windows will contact me if there is a solution. WHAT IS THIS??? I am sorry for your issue, but, I am not sure, are you the same person as the thread starter? If you are not please start a new one. I have had this same issue. I get an update notice [outside of the time I selected for updates] and the results are as posted above. Thing is, I already have version 10.74. All the themes you download are in .wba format. You should save the download and you won't ever lose it unless you lose what you saved it on.